The Place to Start Christmas – The North Norfolk Coast! Up on the North Norfolk Coast, we like to get the Christmas party started with a real bang and believe the whole of December should be one big festive celebration. The first weekend of December sees 5 major events, the perfect excuse for a weekend break to the North Norfolk Coast and a great start to the festive season. 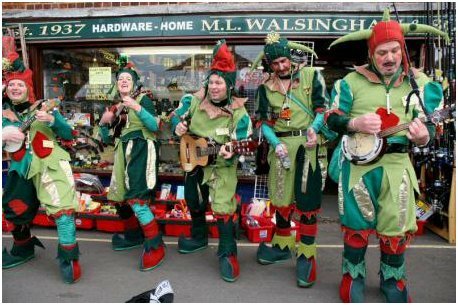 Deepdale Christmas Market is the 4th annual Christmas market at Dalegate Market in Burnham Deepdale. The event hosts over 60 stalls in marquees amongst the permanent shops and Deepdale Café. You can enjoy great food & drink, complete your Christmas present shopping list and decorate your home with everything including your Christmas tree. While visiting you can relax with a hot drink or lunch and enjoy the various entertainments throughout the weekend including The Quaysiders, Hunstanton Concert Band and the Misfit Collective! Start December with a big glass of festive cheer! 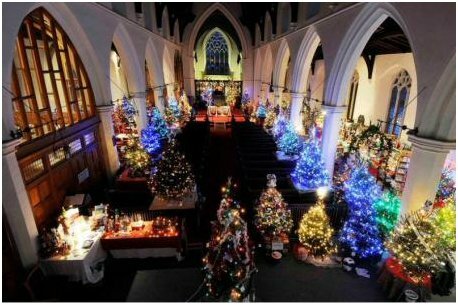 Fakenham Christmas Tree Festival attracts over 25,000 visitors a year and welcomes 84 charities who decorate 90 Christmas Trees. Entrance to the Festival is FREE, but please bring a bag of coins to place at the charity trees of your choice. Along with the Trees in the Church, there will be a Christmas Bazaar selling a wide range of Christmas goods, refreshments, a Tombola and a Grand Draw. Prayers will be said on the hour for the charities and there will be four Prayer Trees where you can write a prayer of your own. Wells Christmas Tide is organised and run by the Wells Carnival Committee and starts with a Cocktail Evening on the Friday. On Saturday there’s a Christmas Market with café, a living Nativity, fireworks and a stunning illuminated procession which travels down Staithe Street to the Quay where crowds welcome Father Christmas from his long journey, by sea, from the ‘North Pole’. Children have the opportunity to visit Santa’s workshop where they can take part in Christmas Themed Workshops and then meet Father and Mother Christmas’ at home. All of the events are free of charge or a nominal charge to cover costs. 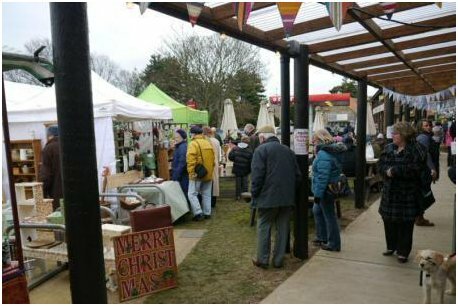 Creake Abbey Christmas Farmer’s Market is now in its 6th year and hosts over 50 food and drink producers from across the county, widely regarded as Norfolk’s largest and most comprehensive farmers’ market. Producers at the market will take orders for collection including Norfolk Black and Bronze Turkeys, Aberdeen Angus beef and rare-breed pork for roasts or stuffing. There will be plenty to take home straight away including fresh beef, lamb, pork, venison and game, Christmas puddings and tarts, cheeses, wreaths and other floral decorations, Christmas flowers and chocolates galore. 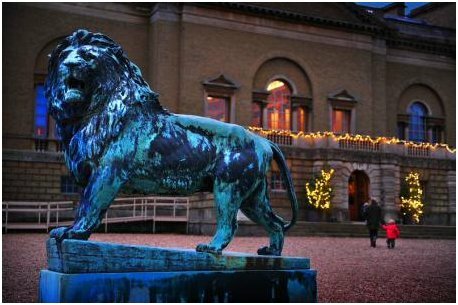 Christmas at Holkham will be a wonderful sight! See the magnificent state rooms beautifully decorated in traditional Victorian style, complete with handmade decorations, real greenery from the park and candle light. They even have their very own magical gingerbread house with its carol singers and garlanded Christmas tree, made out of all things delicious! Join the hustle and bustle of the cooks as they prepare for Christmas in the Old Kitchen and see the tables laid out ready to dine. Meet the Victorian characters dressed in their splendid costumes filling the hall with story-telling, dancing, carol singing and tales from Christmas past.